The French colonies of Senegal and the French Sudan were merged in 1959 and granted their independence as the Mali Federation in 1960. The union broke up after only a few months. Senegal joined with The Gambia to form the nominal confederation of Senegambia in 1982, but the envisaged integration of the two countries was never carried out, and the union was dissolved in 1989. The Movement of Democratic Forces in the Casamance (MFDC) has led a low-level separatist insurgency in southern Senegal since the 1980s, and several peace deals have failed to resolve the conflict. Nevertheless, Senegal remains one of the most stable democracies in Africa. Senegal was ruled by a Socialist Party for 40 years until current President Abdoulaye WADE was elected in 2000. He was reelected in February 2007, but complaints of fraud led opposition parties to boycott June 2007 legislative polls. Senegal has a long history of participating in international peacekeeping. For silver and base metal coins of Senegal, please look at our original Chard Coins website. 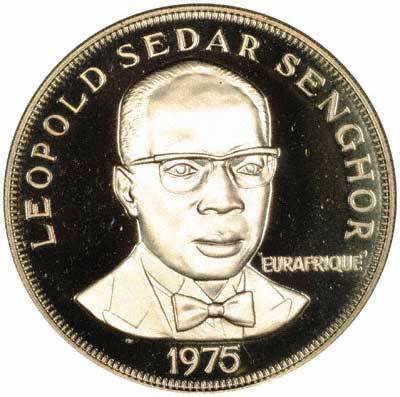 We make an active market in almost all world coins, gold or otherwise, including Senegal gold coins. If you have any of these coins to sell, please contact us, or post them to us for appraisal and offer.